At the age of 15, Adolph Kiefer set his first world record. At the age of 16, he was the first person in the world to swim the 100-yard backstroke in less than a minute. As this article states, Kiefer held every backstroke record there was for 15 years. And in 1936, at the age of 18, he won the gold medal in the men’s 100-meter backstroke, setting Olympic records in the heats and the finals. He had a streak of over 200 consecutive victories in the back stroke, and in his career, lost only twice. At the age of 98, on May 5, 2017, Kiefer passed away in his home state of Illinois. When he filmed backstroker Adolph Kiefer, he found in him the same relaxation – in Kiefer’s legs, his rolling arms, his outstretched but loosened palms and fingers, a catch that seemed effortless, a recovery that took no time at all. 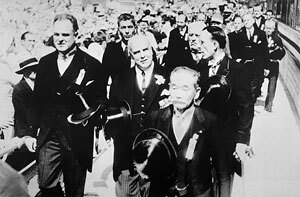 For too long Sakamoto had believed that Kiefer had merely been a talented natural whom Stan Brauninger had discovered in a concrete culvert in Chicago; Kiefer was talented, all right, but he hadn’t become the world record holder in the backstroke without a technique that was, to Sakamoto, nothing less than genius. 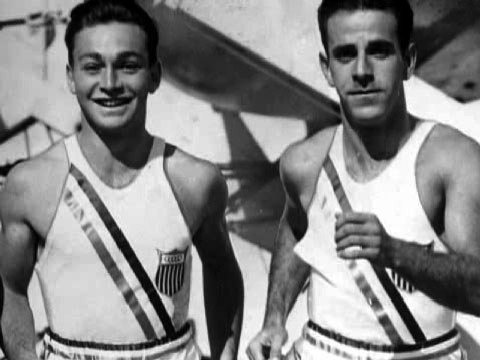 After the 1936 Berlin Olympics, there was anticipation of so much more Olympic glory for Kiefer – but like others of his generation, the war years intervened. That did not, however, stop Kiefer from making an even bigger impact. After the Japanese attack on Pearl Harbor, Kiefer joined the Navy. As Checkoway, revealed, Kiefer was shocked to hear that 50% of the soldiers who perished at Pearl Harbor did so by drowning. And yet, when soldiers returned to his port in Norfolk Virginia, he was surprised to hear that learning how to swim was still not a priority. At his insistence, Kiefer was sent to Washington DC to make a case for institutionalized swimming instruction. Kiefer made a strong case. “What good [is] a 5-man gun crew,” Kiefer asked the Navy brass, “if one of those 5 couldn’t swim and fell in? With one man drowned, what good [is] a 5-man weapon?” Kiefer got the funding and set up a training center for naval swimming instructors. 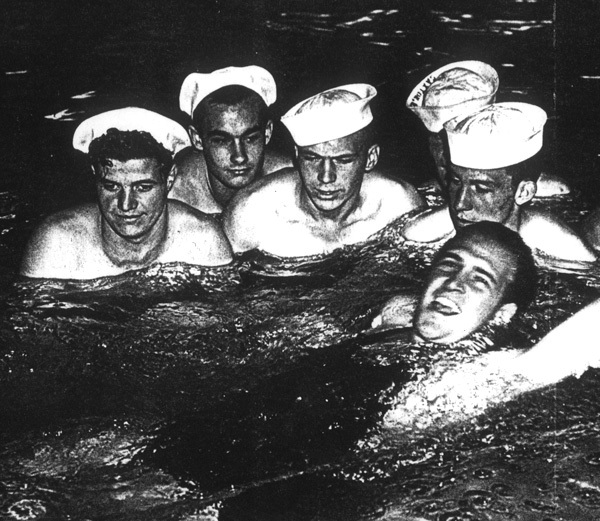 As Checkoway explained, Kiefer was so well known and so well liked, he had little trouble rounding up some 1,200 swimmers to teach survival swimming, who would in turn train every naval sailor how to swim. As the obituary in The New York Times explained, Kiefer met the Fascist leader, Adolph Hitler, after his gold medal victory. One day, while Kiefer was training, Hitler came by with an entourage of Nazi officials, including the powerful Hermann Göring. Hitler had learned of Kiefer’s German heritage and wanted to meet him. She was 18 years old at the 1936 Berlin Olympics, a competitor in the high jump and the 4×100 relay. She did not win any medals but the tall woman from Lage Vuursche in Holland, but she did get the autograph of one Jesse Owens. 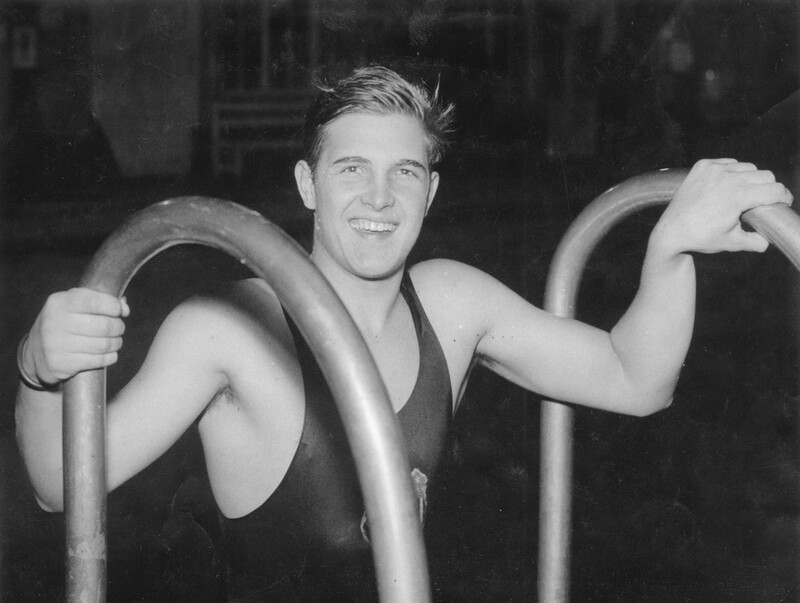 Owens was the star of the 1936 Games, reportedly showing up der Fuhrer by winning four gold medals. 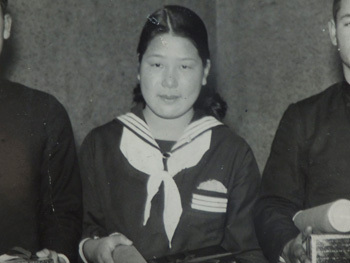 Fanny Blankers-Koen would also go on to win four gold medals in the Olympics, but she would have to wait 12 more years, as the Olympics were cancelled during the war years, before she could compete on the highest stage. Watch the video above of the first woman to win four gold medals, which she did at the 1948 London Olympics. Blankers-Koen was absolutely dominant. In her first competition, Blankers-Koen led the 100-meter dash nearly from start to finish. In her next event, she had to work the hardest, coming from behind to barely win the 80-meter hurdles, but still in Olympic record time. 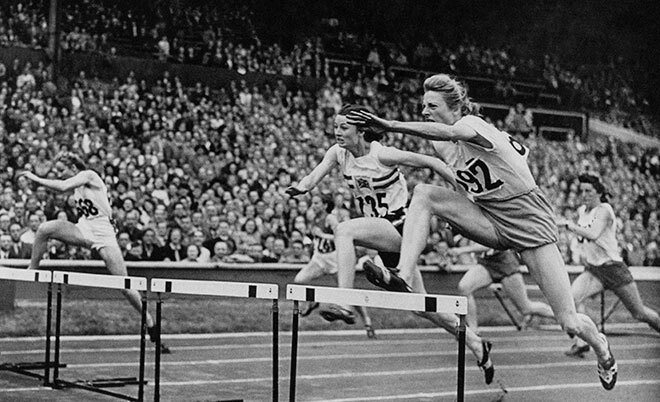 Fanny Blankers-Koen winning the 80 meter hurdles in London in 1948. In her third triumph, Blankers-Koen won the 200-meters in the first lane, eating up the water-drenched track like a locomotive, well ahead of the 2nd place finisher, in Olympic record time. And finally, in 4×100 meter relay, the Dutch team, in their orange shorts, were trailing in third when their anchor, Blankers-Koen took the baton. And like a rocket, she shot to the lead and crossed the line with her fourth gold medal. Like her hero in Berlin, Jesse Owens, Blankers-Koen won four gold medals, the first woman ever to do so. According to the Smithsonian, Blankers-Koen met Owens again, this time in Munich in 1972.